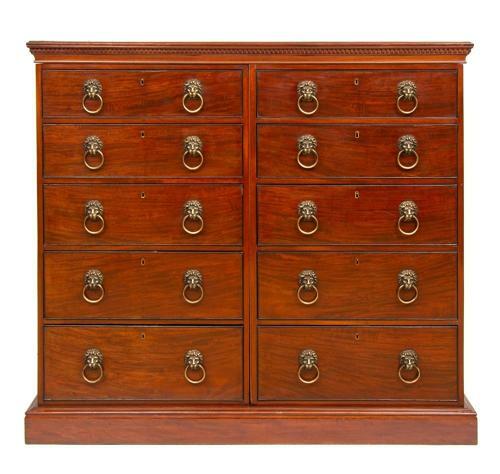 Early 19th Century Bankers Drawers with Original Lions Head Handles.This is an exceptional bank of drawers ,of top quality timbers and a very imposing form.Graduated early mahogany drawers with crisp Lion head handles it stands majestically. It is also extremely useful as it can swallow vast amounts of work whilst looking stylish in its simplicity. All drawers run smoothly and it has been restored, cleaned and waxed up.